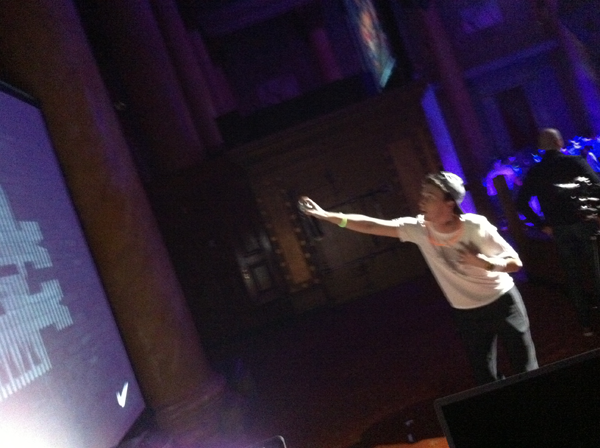 We hacked a Kinect using Processing, a Playstation controller, and an actual aerosol can to create a spray paint video wall. 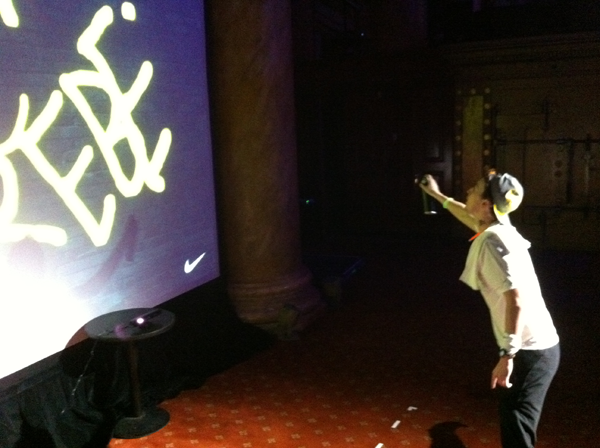 Runners attending a post-run after party hosted by NIKE would stand a few feet away from a 16 by 30-foot screen and interact with a Kinect box using their body and a spray can (containing a hacked PS3 controller). 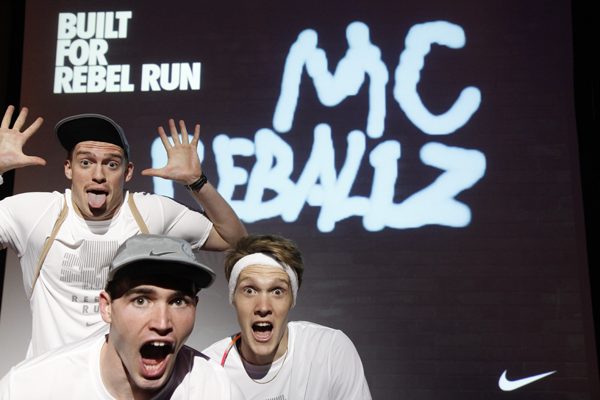 They would tag the spray wall in a color of their choice, select one of the Nike slogans from the Rebel Run campaign to appear next to their tag, get their picture taken in front of the whole thing and then that picture was automatically uploaded to Facebook. They had the choice to have it sent to their own page, but of course all the images were automatically uploaded to the event page. 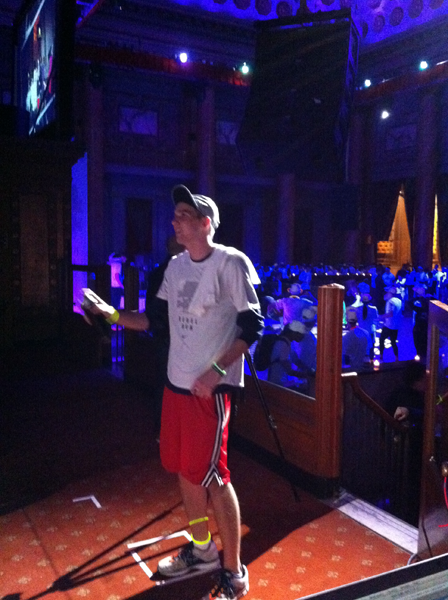 The experience capitalized on the energy of the run. Participants would use their entire body without any prompting from us. We designed the range to allow someone a full step left, right or forward. As users got closer, the spray pattern became tighter. We left the rattling ball in the can and just about everyone shook the can instinctively between sprays. We probably should have made that gesture recharge the battery. 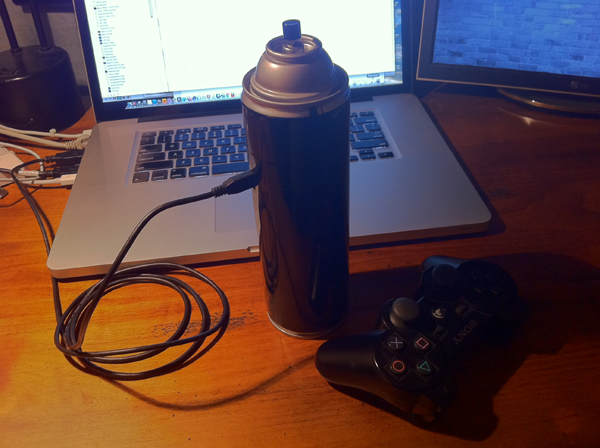 We considered creating a controller from scratch, but the Sony Playstation controller was an easy choice for the spray can because its battery would last, it's bluetooth enabled and it's an easy hack with Processing.